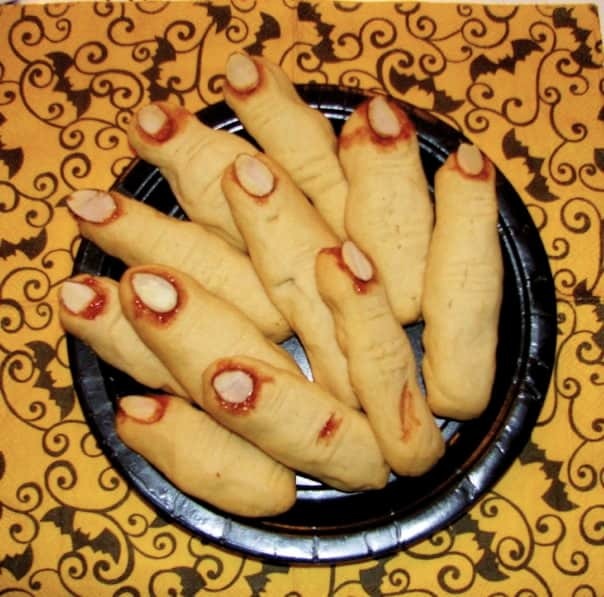 Witches’ Digits are truly scary Halloween cookies that look terrible, but taste really good! 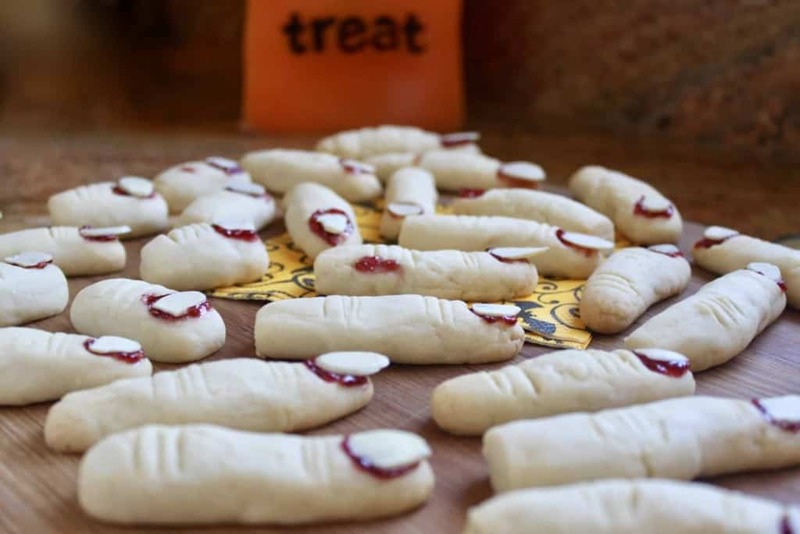 Give them a try this Halloween and see how many people are brave enough to take a bite! Yes, I know, these are absolutely disgusting, but isn’t that the point? My Witches’ Digits from last year. I’ve been told off by neighbors and friends for making these (jokingly of course), and they definitely cause a lot of double takes! 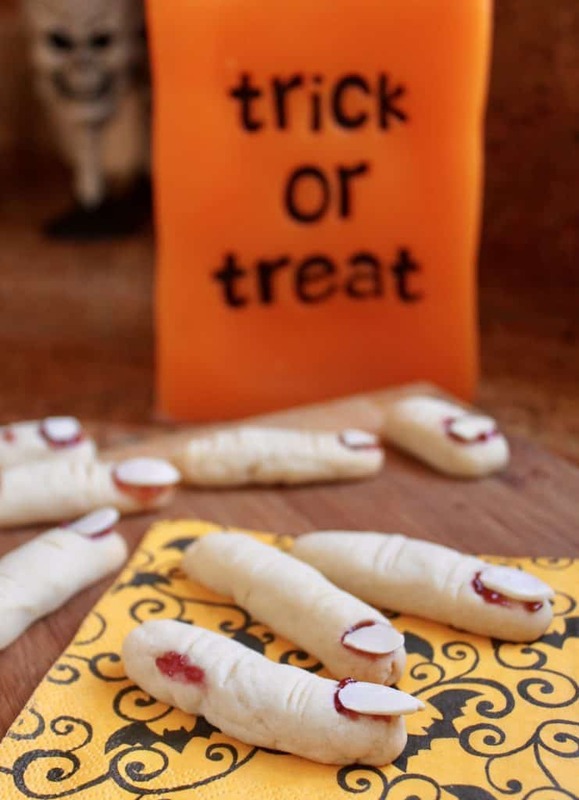 If you are planning on going to a Halloween party, have a Halloween event to attend, or are taking cookies to your kids’ school, these will be the highlight of the event. 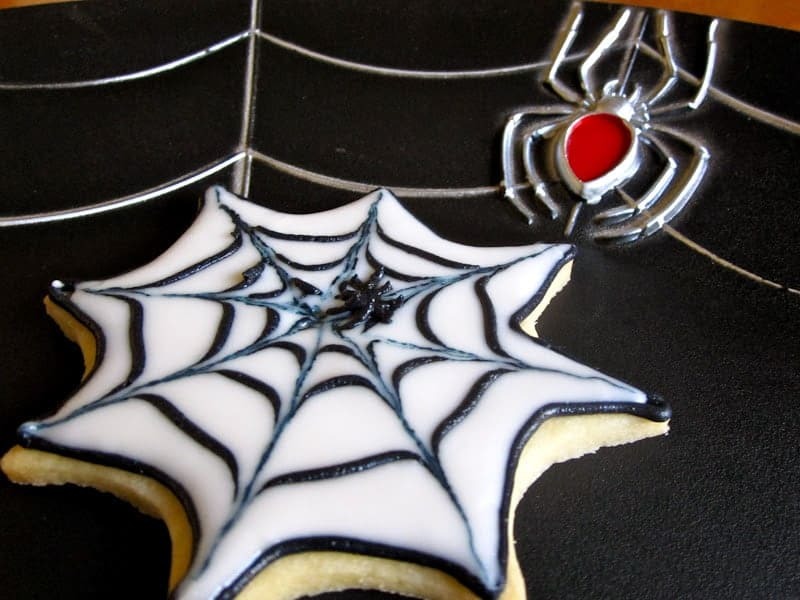 Want more Halloween cookie ideas? I’ve got you covered! CLICK HERE! 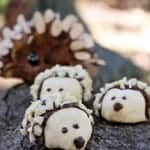 Have your kids help you make these, they’ll have so much fun! 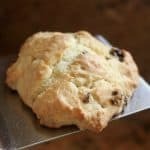 The best part is that these cookies are delicious (if you can get past how they look!) 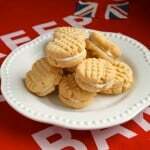 and are almost like a shortbread, butter cookie! 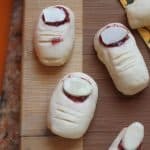 I’ve also added a post for Trolls’ Toes cookies! 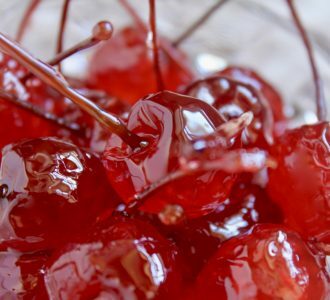 One of my blogger friends, Dorothy of Shockingly Delicious, just had this recipe in the Huffington Post along with some other gory recipes. 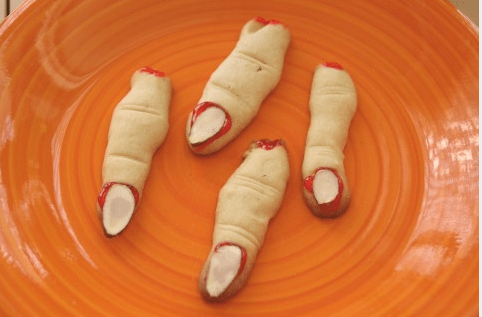 Click here for Dorothy’s Witches’ Digits Recipe. Here’s what I did differently: I used raspberry jam instead of gel. 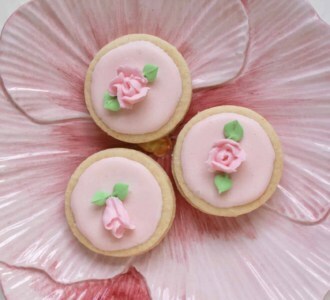 I personally love jam with shortbread type cookies. I also dislike almond extract, so I omitted it for a plain cookie. Use your own fingers to help you with the knuckle marks. 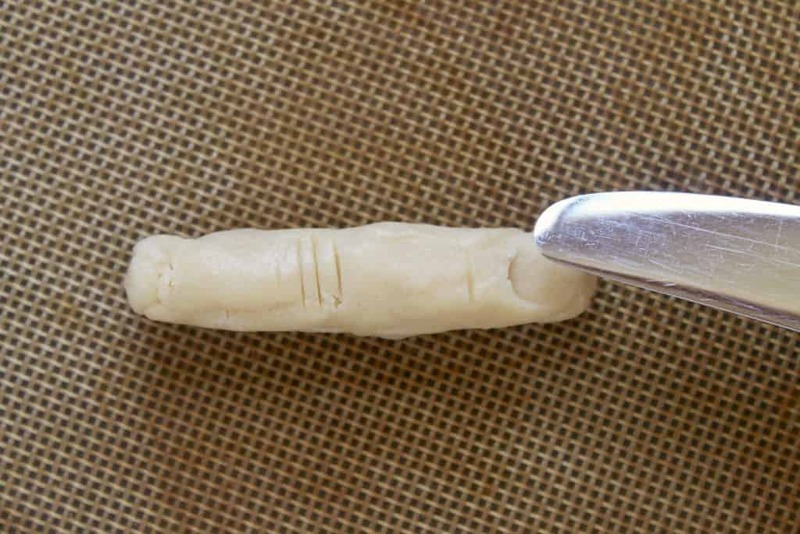 Making the nail bed with the tip of a butter knife. 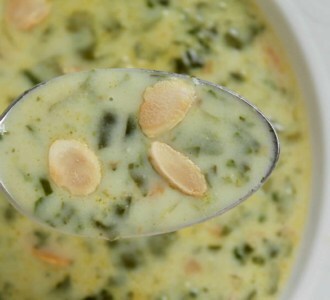 Adding the jam and almond slice is easy and fun! 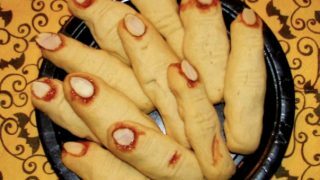 Scary finger cookies that look bad, but taste good! !Preheat oven to 325 degrees. Add the egg and vanilla and mix well. Gradually add flour, baking powder and salt to the mixture. Refrigerate the dough for about half an hour, so it's not too soft to handle. 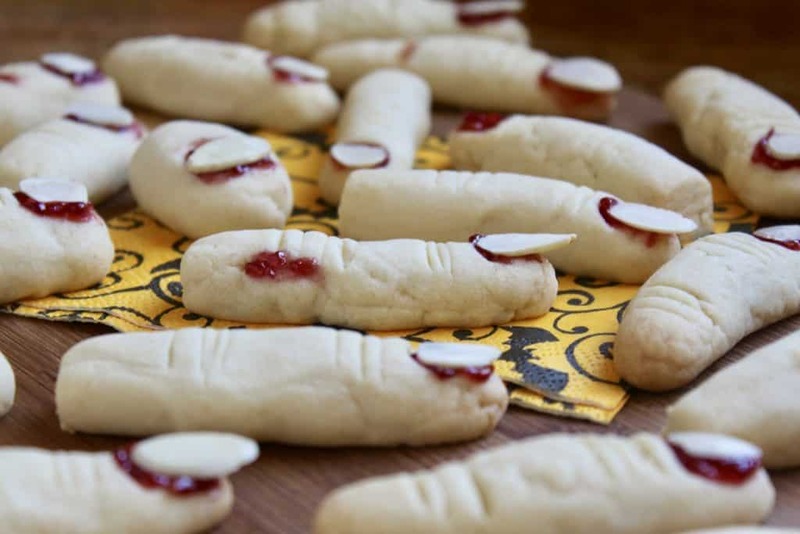 Begin by taking pieces of dough and rolling into a thin "finger" shape. They can be long and thin or fat and short, they all look great in the end. Make them a little crooked for a more authentic "witch" look. 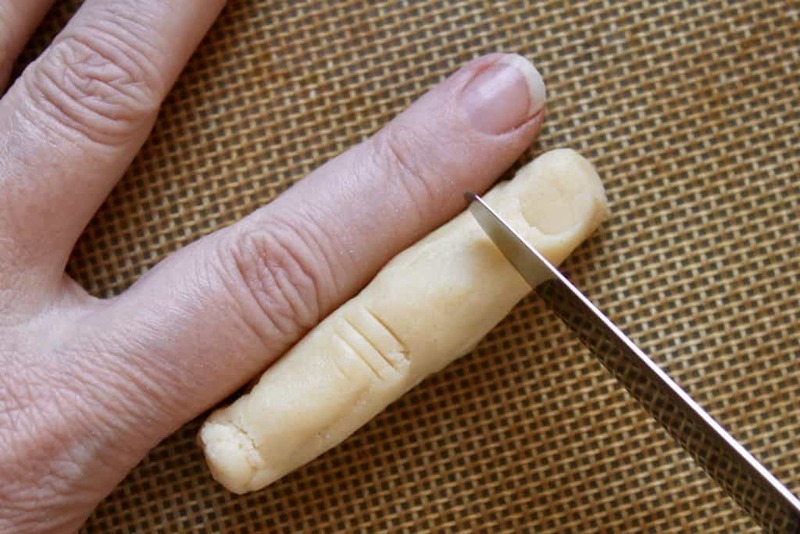 Use a knife to make the knuckle marks and then an indentation for the fingernail. Place on silicone sheet lined baking tray about 2" apart. Bake for 15-20 minutes or until just beginning to brown. Cool on rack. 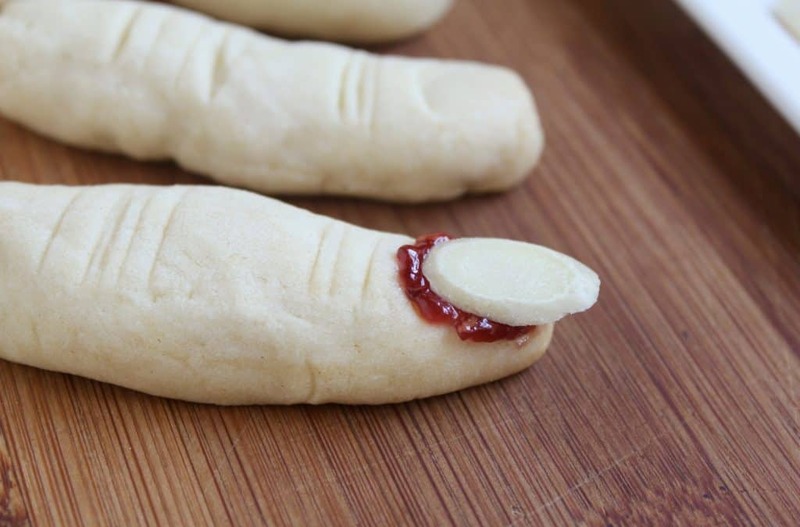 Put a little jam on the nail bed and add an almond slice. Store in tin. 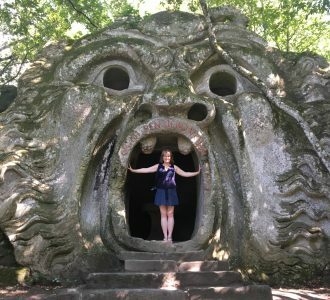 Leave a note if you make these, I’d love to hear from you! Aren’t those cookies great, in a disgusting, gross way of course? They have always been a hit in whatever classroom I take them to. 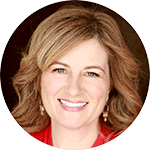 Thanks for linking up to me! 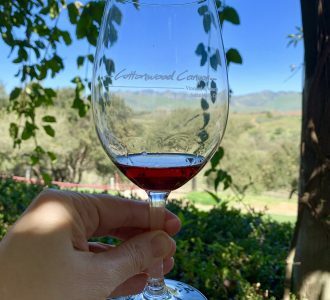 Thank YOU, Dorothy! I LOVE the Deviled Spider Eggs; I bet that would get kids that don’t like eggs to change their minds!